The Guardian Angel Foundation is named after Gina Marie Dayton. 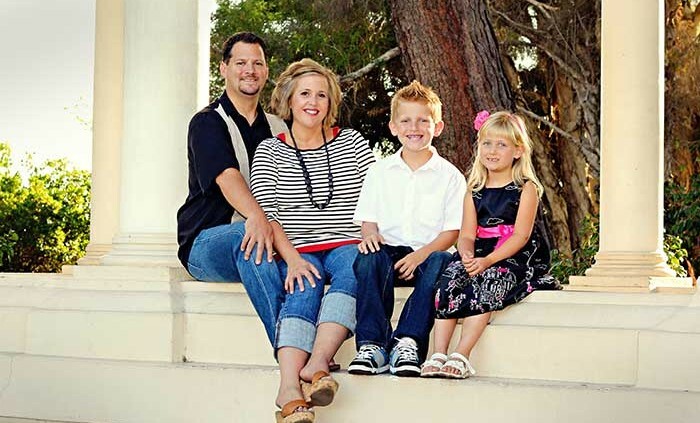 Gina lived in San Diego’s East County with her husband and two children. She taught third grade at Naranca Elementary for thirteen years. She was a wonderful teacher and was dedicated to helping her students learn. Additionally, she worked as a consultant teaching other teachers how to effectively teach writing to their students. Beyond the classroom, Gina was a wonderful mother and wife. She did all the little things that make a house a home. Moreover, she worked with her husband to create traditions and memories for her family. In early October of 2010 Gina was diagnosed with breast cancer. She opted for a bilateral mastectomy, followed with chemotherapy and radiation in an effort to rid her body of the disease. The next year she had a total hysterectomy in an effort to ward off any future complications. Despite the precautions taken, however, Gina was diagnosed with metastatic breast cancer in December of 2011. The disease had spread to her liver, lungs, and bones. This aggressive cancer quickly took Gina, and we only had five more weeks with her. We are a simple foundation, based on the memory, legacy and love that was Gina Marie Dayton, our sister, daughter, friend, mother … taken from us by breast cancer much too soon. Let’s spread the word and help raise money to benefit and support families who have lost a loved one to breast cancer.